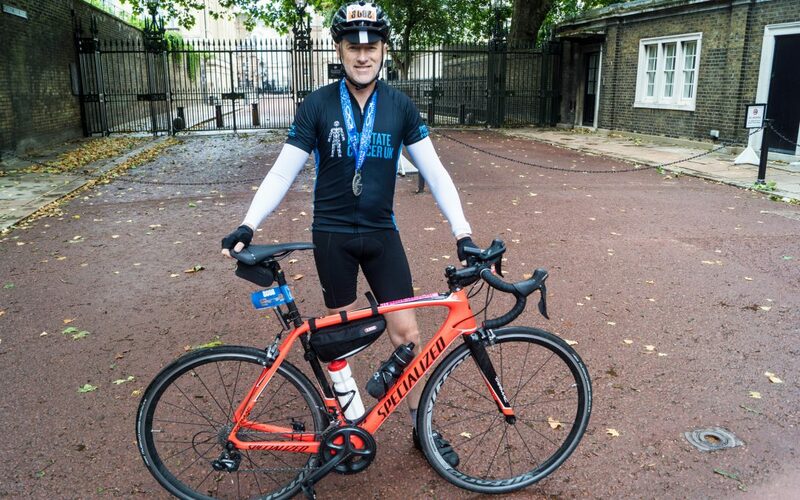 Martin Covill, pictured above, completed a 100 mile London – Surrey cycle ride on July 29th raising money for Prostate Cancer UK. Martin reached his committed target of £500 for PCUK , and he has now opened a Virgin Giving Page for donations to PCSA Kent hoping to raise around £300. Well done Martin, a really splendid effort, and a big thank you in anticipation from all at PCSA Kent.